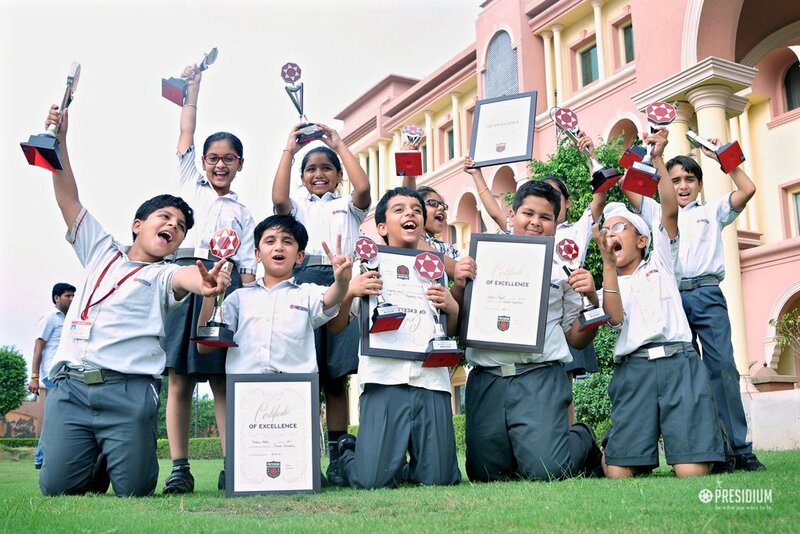 Presidium is a school of eminence and diversity, one which promotes truly extensive and balanced education to help each student fulfill his or her potential. 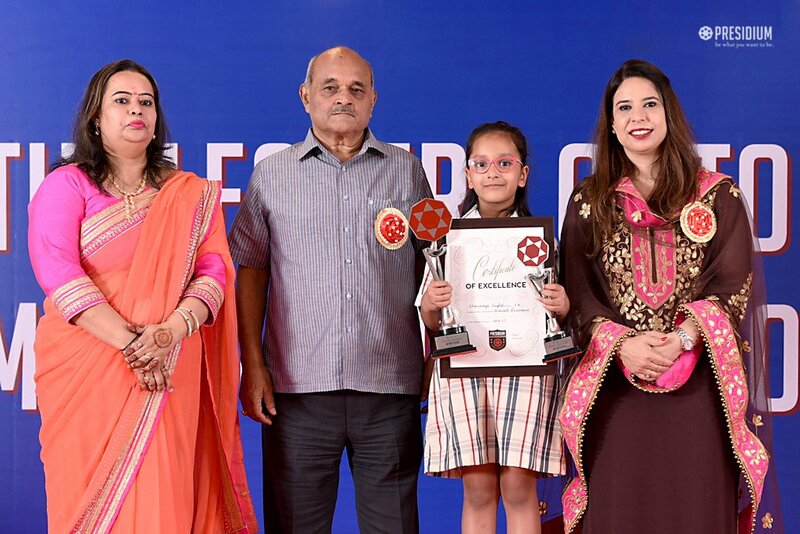 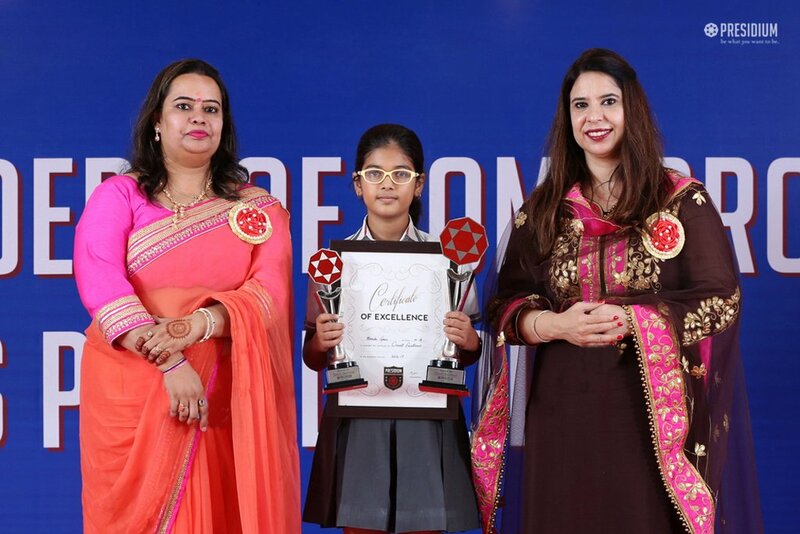 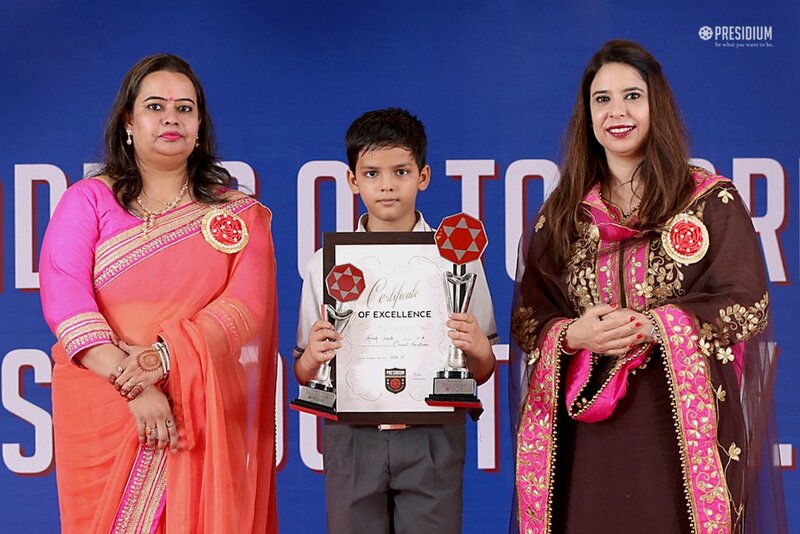 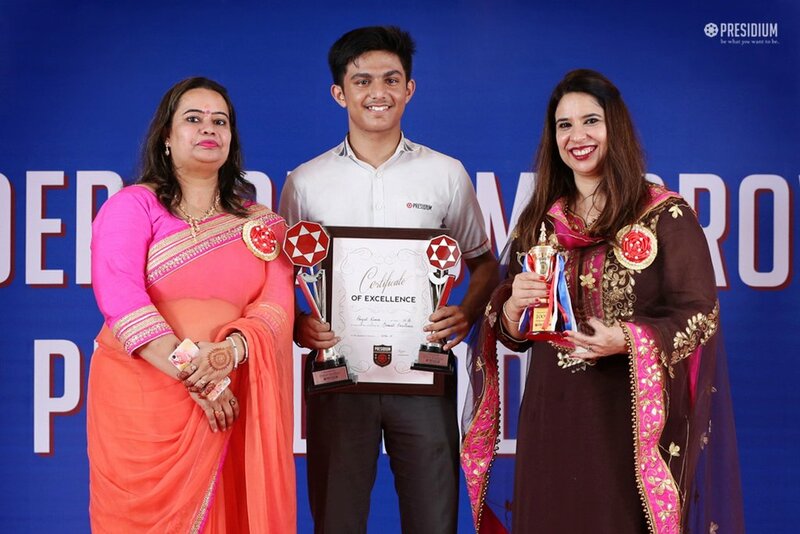 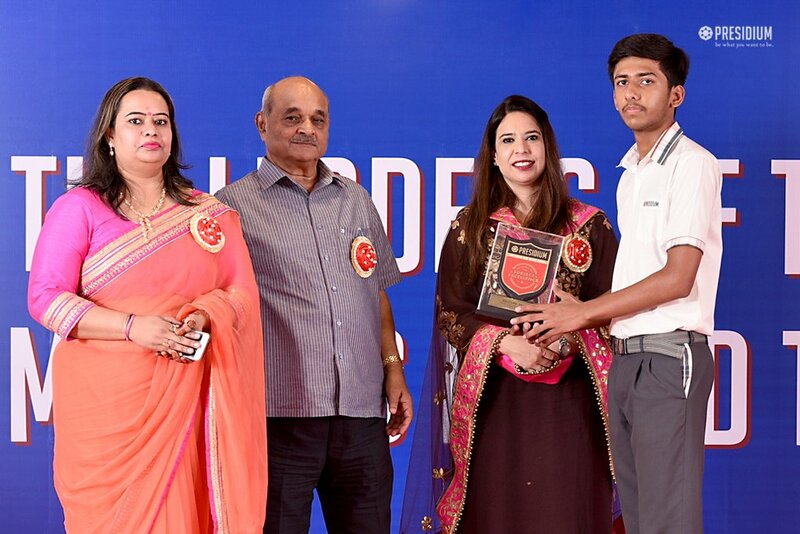 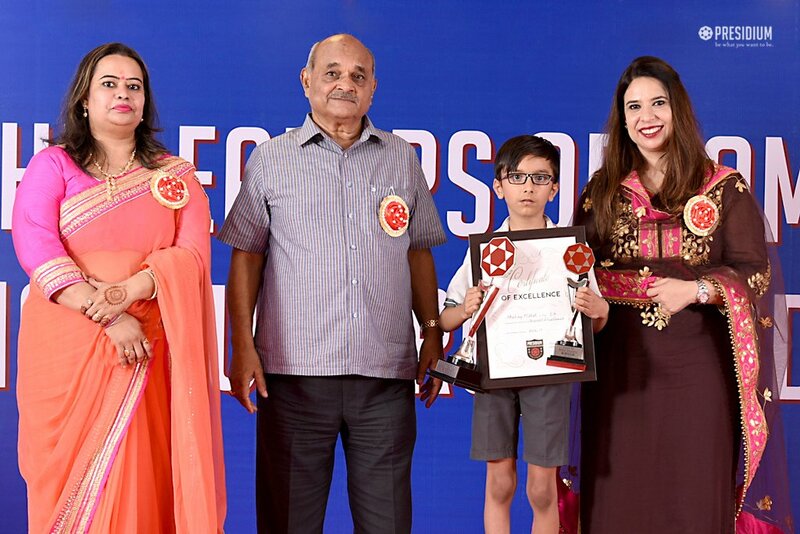 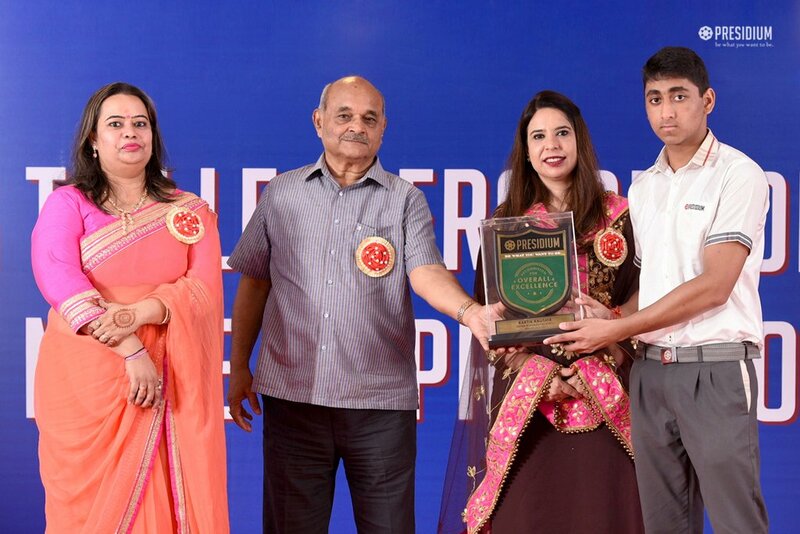 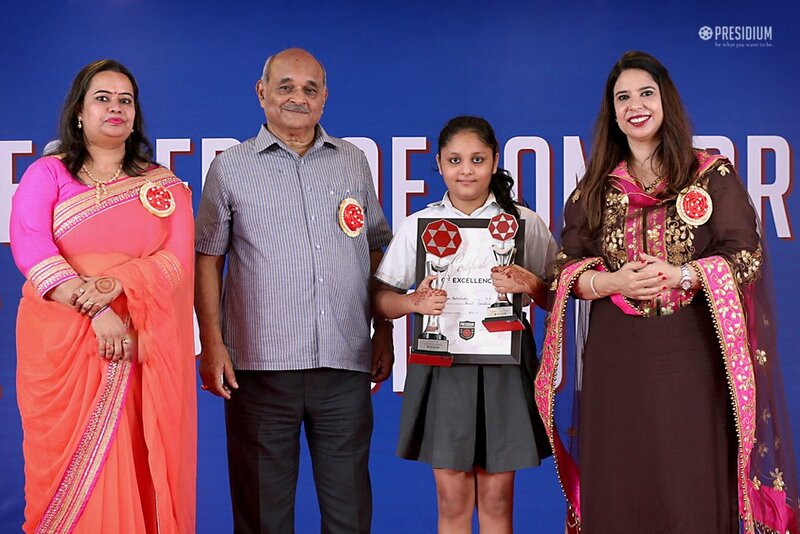 To honour the meritorious students of Presidium Faridabad and encourage them to redefine success, we recently organised 'Academic Excellence Awards 2017'. 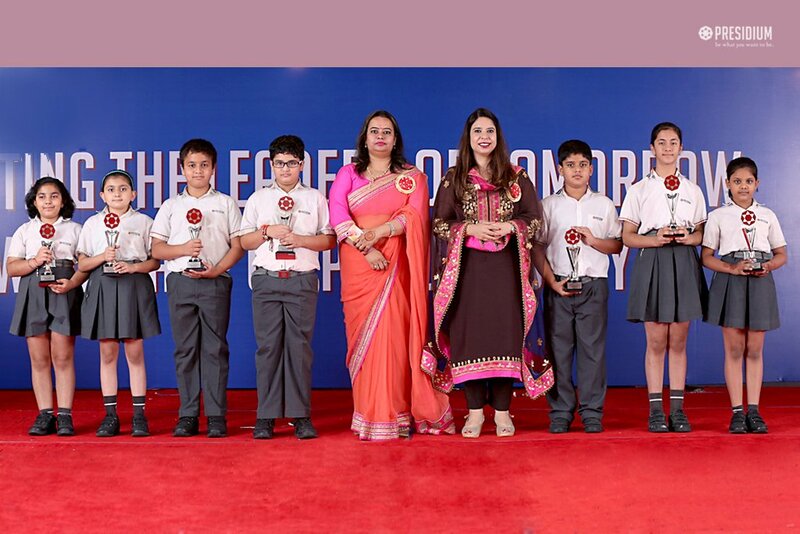 The ceremony began with the ceremonial lamp-lighting by Mr. S.P. 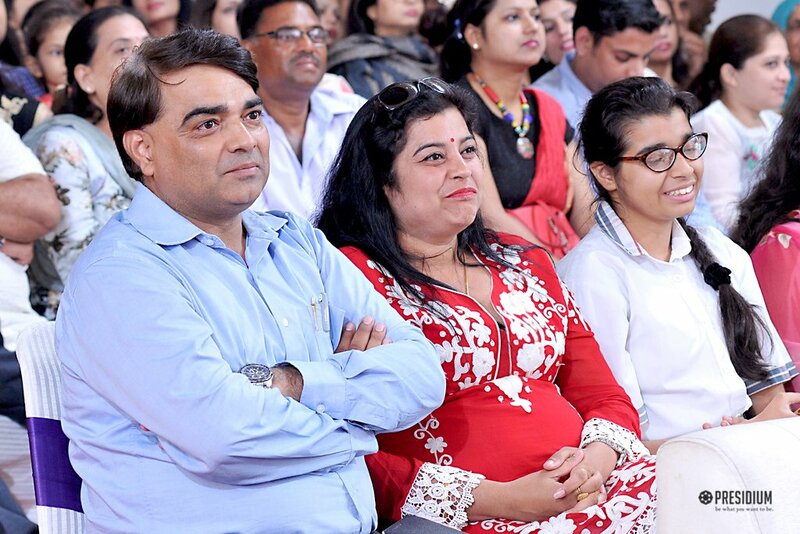 Aggarwal (honourable Chairman - Advisory Board) and Ms. Neerja Chawla (Director - Presidium, Faridabad). 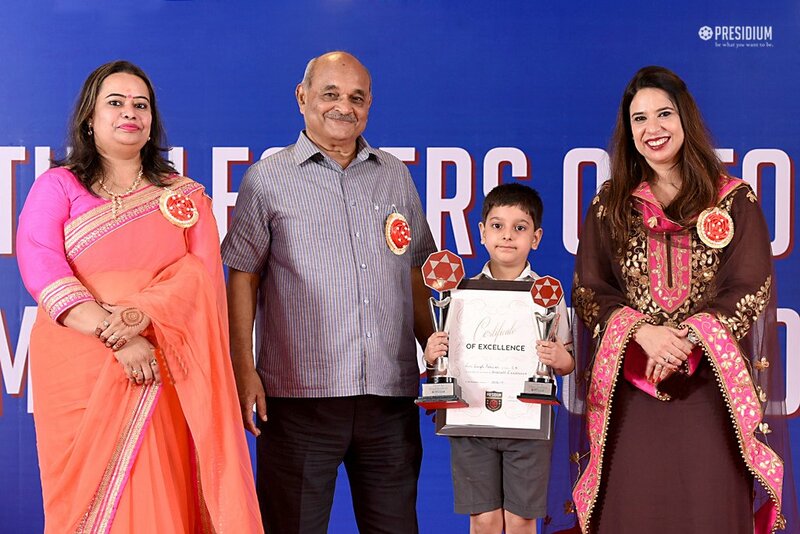 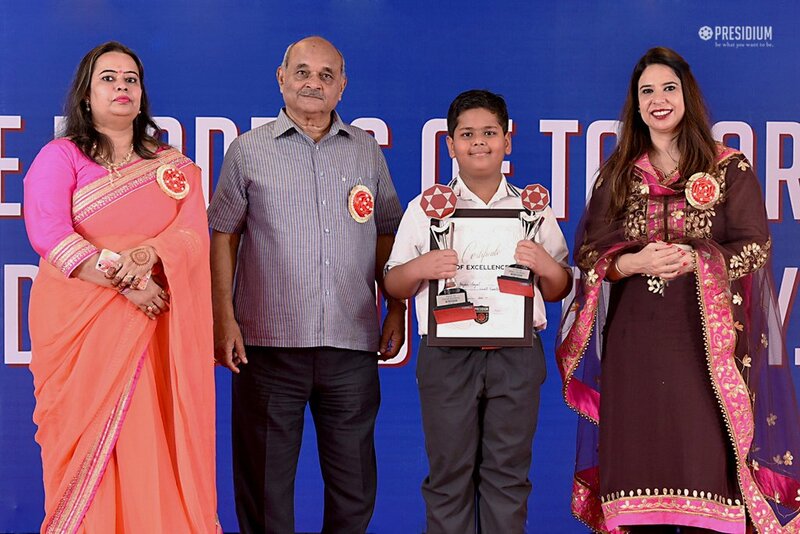 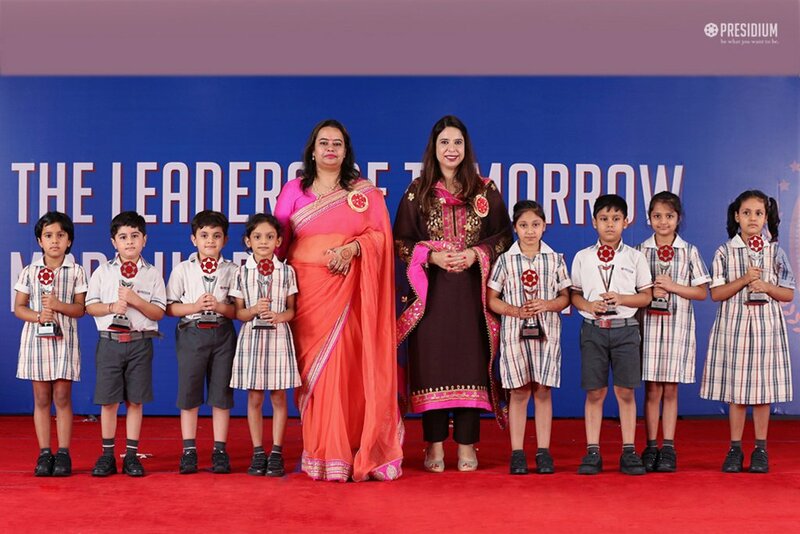 The young Presidians were felicitated with prestigious certificates and trophies for overall excellence, subject distinction and 100% attendance. 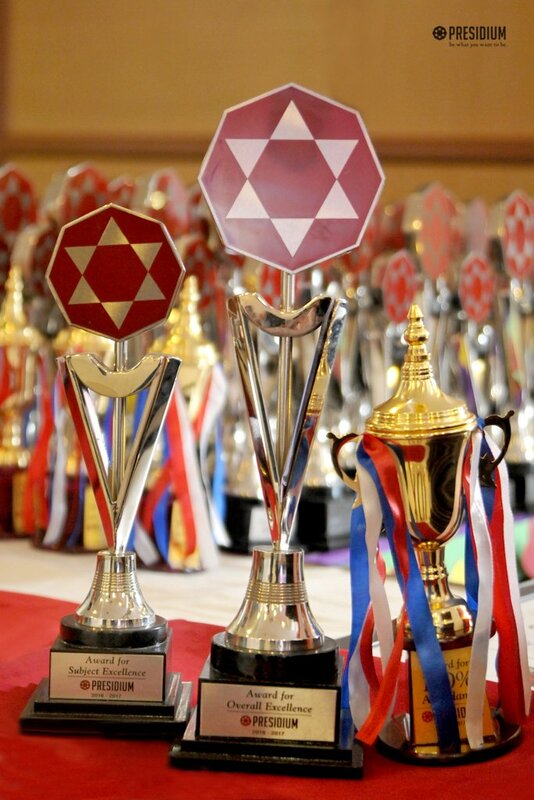 The awards made them comprehend the importance of treasure stores of knowledge, experience, wisdom and practice. 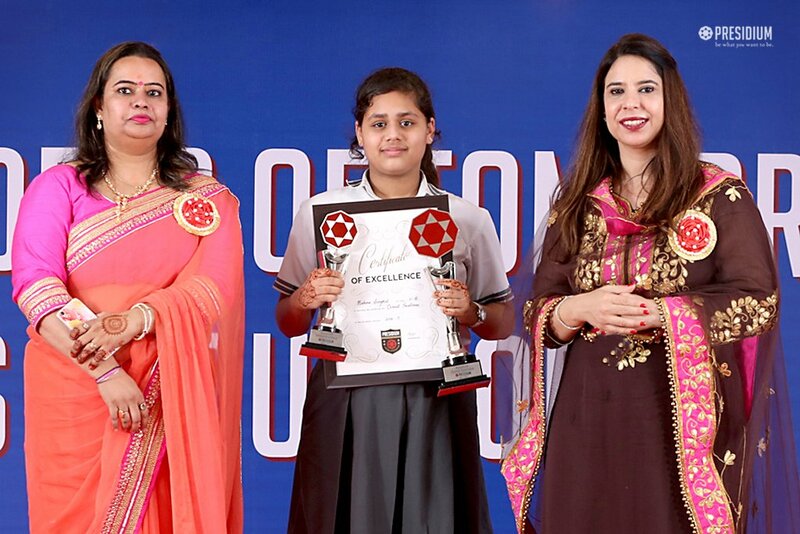 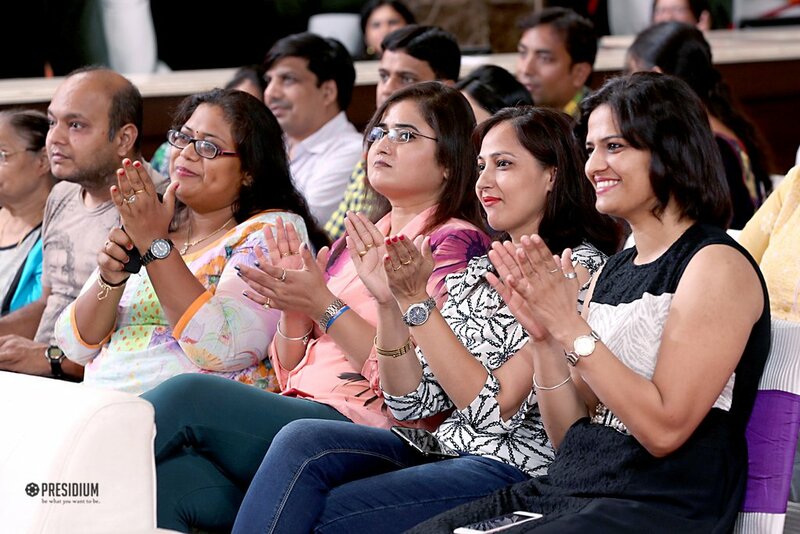 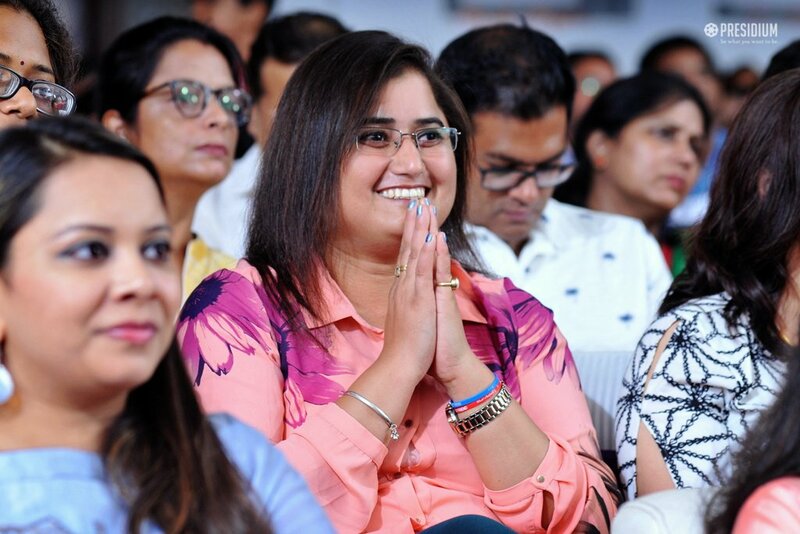 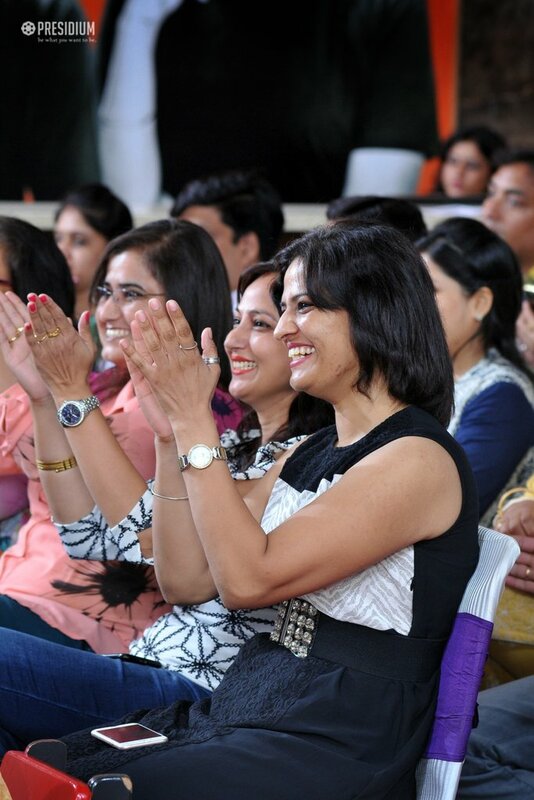 They, along with their mentors and parents, were filled with pride, confidence and admiration as their determination and dedication were being applauded by all. 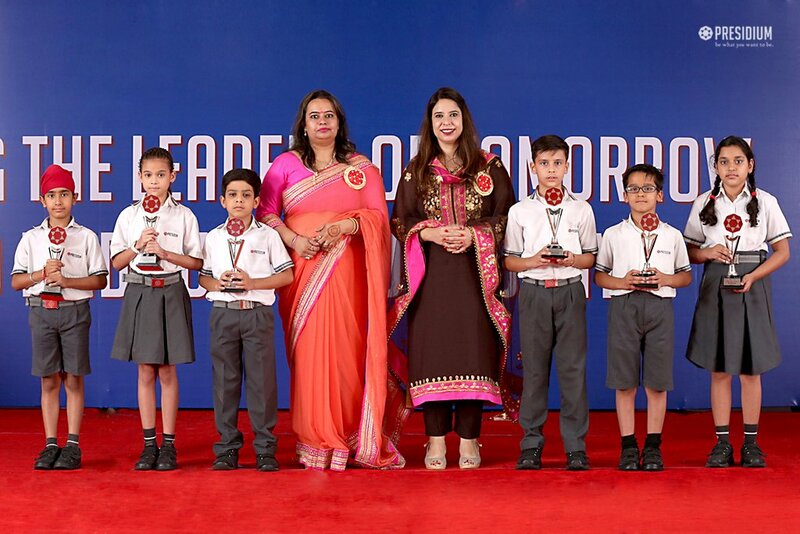 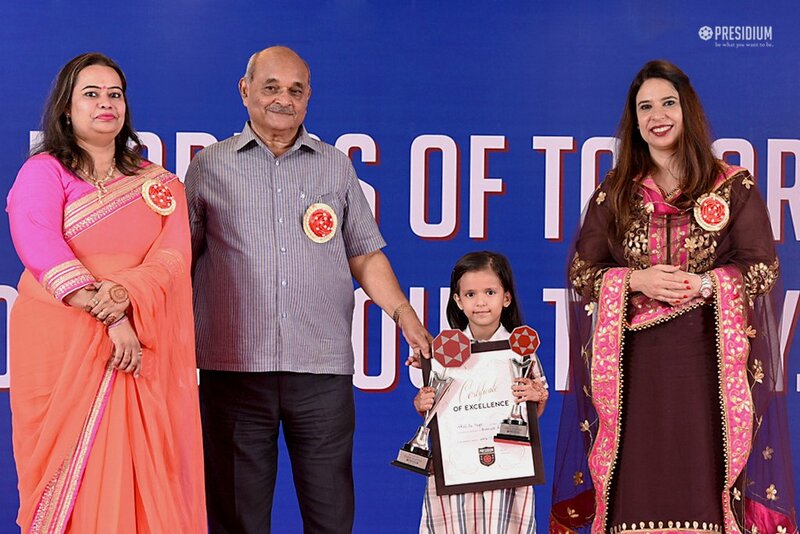 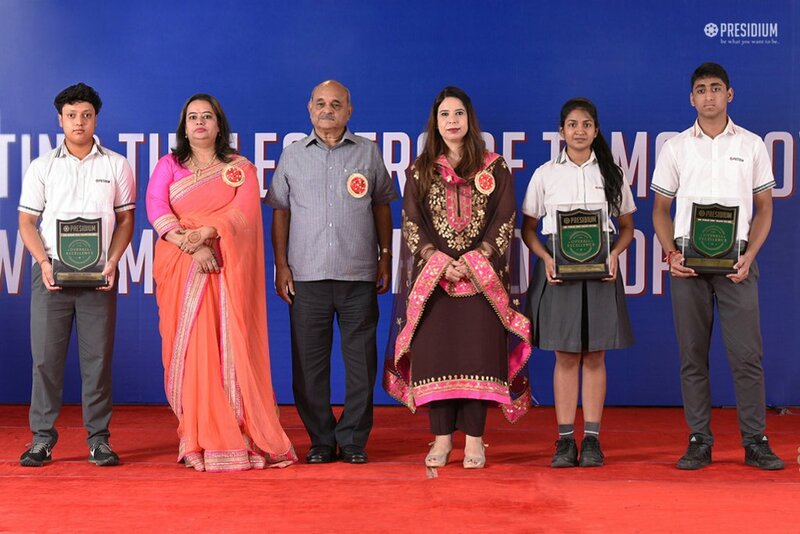 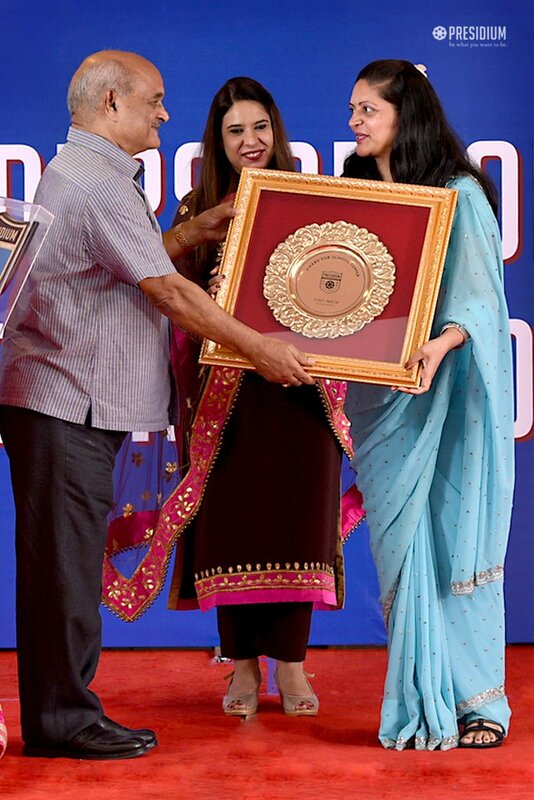 Motivating the 'leaders of tomorrow' for continuing their hardwork and achieving success with the same conviction and zeal in future, this time-honoured award ceremony had a remarkably positive influence on the lives of Presidians.